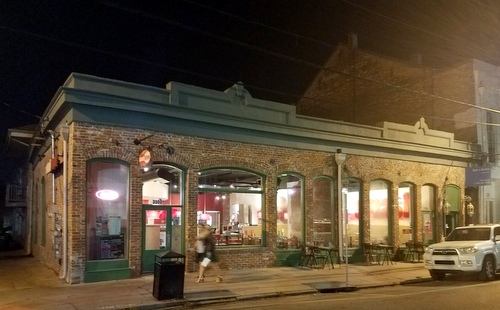 The Superica restaurant proposed to replace the Smashburger on Magazine Street has reduced its planned seating count, but will postpone its scheduled appearance before the City Planning Commission until later this month amid neighbors’ ongoing concerns. Assuming the City Planning Commission grants the deferral request, the hearing on the request to expand the Smashburger space at 3300 Magazine Street into another commercial space behind it will be set for 1:30 p.m. Tuesday, Feb. 27, said Avery Foret, a consultant on the project. “This morning the Superica team decided to defer this matter once again, given that we will not have a substantive update to the neighbors in time for the City Planning Commission meeting on Tuesday,” Foret said late Wednesday in an email to neighbors. The decision to postpone the hearing comes on the heels of a meeting last week before the Irish Channel Neighborhood Association land-use committee, in which the Superica team produced a plan to reduce the seating count. The plan first presented to neighbors in November called for 209 seats at tables and 29 more at the bar, but consultant Mike Sherman told the Irish Channel on Tuesday, Jan. 23, that the layout has been revised to 148 seats at tables and eight at the bar. As of Tuesday, however, the developers had not found a solution to the parking issues that some neighbors say is driving their opposition. Legally, the project is only required to provide four off-street parking spaces. The developers said they are in conversation with other property owners around the area in search of space nearby for customers or perhaps a little farther away for employees, but have yet to finalize anything. Biil Sawicki of the Irish Channel Neighborhood Association said he remains stymied by the need to expand the restaurant so much beyond the building’s current footprint. Daniel Van Loh, chief financial officer for the Ford Fry restaurant group proposing the restaurant, explained that the other Superica locations in the Atlanta area have closer to 6,000 square feet of space with outdoor patio. The Smashburger space is smaller than that, but the expansion into the adjacent building is intended to mimic that patio arrangement, he said. Mark Redding of the Irish Channel said that it will be difficult to enforce any sort of off-site parking requirement at the restaurant. The four off-street spaces required by law, however, is a strong negotiating point for neighbors. “We can’t get them to get more parking than that, but we can certainly hold their feet to the four parking spaces,” Redding said. Developers promised to get more answers for the Irish Channel on the parking and other issues, so the land-use committee did not take any vote on their request. No one mentioned the garbage that was continually on the sidewalk next to Smashburger. There is no place for a dumpster there. If the new restaurant is bigger, that will mean even more trash with no place to put it. The CAVE people hard at work. “We love finding interesting, historic neighborhoods with great architecture, that have charisma and charm,..” Van Loh said. …and destroy them so we can make money.